Are Your Stored Files Protected from Unwanted Eyes? 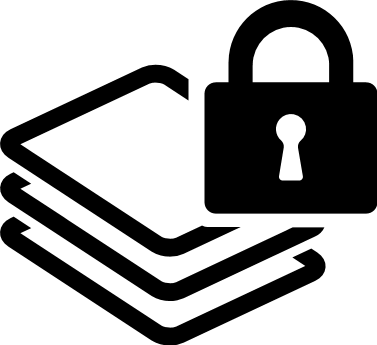 Lock up sensitive data – use BestCrypt Container Encryption to encrypt files and folders on Windows, Mac, Linux and Android. Ensuring data security is critical when you keep private data or confidential information. BestCrypt Container Encryption delivers privacy and confidentiality to, anyone who wants to encrypt files or folders on active computers, shared workstations, removable drives and network storage, including cloud storage services like Dropbox. Want to control all encryption activities on remote computers? Take command with Jetico Central Manager. When you turn on your computer and connect to a network, BestCrypt Container Encryption protects any selected files or folders from breaches. Nobody can get access to your sensitive data unless they have the right password or keys. Most stringent regulations allow for exemption of data breach notification responsibilities, hence fines, if the customer data has been encrypted. Encrypting files and folders with BestCrypt Container Encryption is a simple, proactive measure that you can take right now to comply with many regulations and gain peace of mind - including GDPR and HIPAA. Thanks to access via virtual drives, BestCrypt Container Encryption is really easy to use. Once the password is verified, you can transparently access and use the data for any application – just the way you are used to working. No further actions are needed to keep new or altered files in a secure encrypted state. Since back in 2013, Jetico has formally stated that BestCrypt has never included any backdoors or related weakness to the software, as well as publishing their source code. BestCrypt Container Encryption supports all major operating systems – Windows, Mac, Linux and Android (Beta) – with the same level of advanced data protection to ensure that all your confidential data is accessible across all major platforms. Encrypted containers created with BestCrypt can easily be uploaded, shared and accessed in the cloud from any Windows, Mac, Linux or Android device. In addition to Dropbox, BestCrypt Container Encryption supports all other common cloud storage services. For data no longer needed, BestCrypt Container Encryption includes the full version of BCWipe. Trusted for over 10 years by the U.S. Department of Defense, BCWipe securely erases selected files, folders and Data Remanence, beyond forensic recovery. Despite its industrial strength, BCWipe is still easy to use. BestCrypt Container Encryption – Enterprise Edition includes Jetico Central Manager to remotely deploy client software across all workstations, monitor usage of encrypted container files and centrally manage recovery information necessary to access encrypted data in case of emergency. BestCrypt Container Encryption – Enterprise Edition significantly reduces total cost of ownership, thanks to faster deployment times, minimized maintenance and superior data breach prevention. While files stored in encrypted containers are safely tucked away from intruders, recoverable traces may still exist out in the open. You computer gets lost or stolen... are you sure intruders can’t access your data? Mitigate these risks and achieve complete endpoint data protection with BestCrypt Volume Encryption - Jetico's superior whole disk encryption.